The symbolism of doves varies across cultures and religions. In general, it is regarded as a symbol of peace. Doves also symbolize the holy spirit, the soul, and even symbolize purity and love. 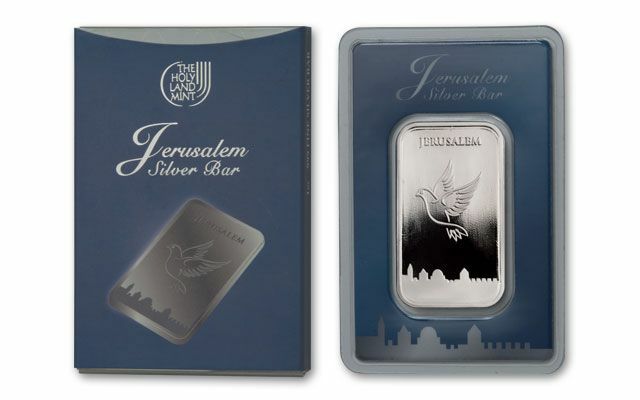 Each 2016 Dove of Peace Bar is struck in 31.1 grams of 99.9% fine silver. 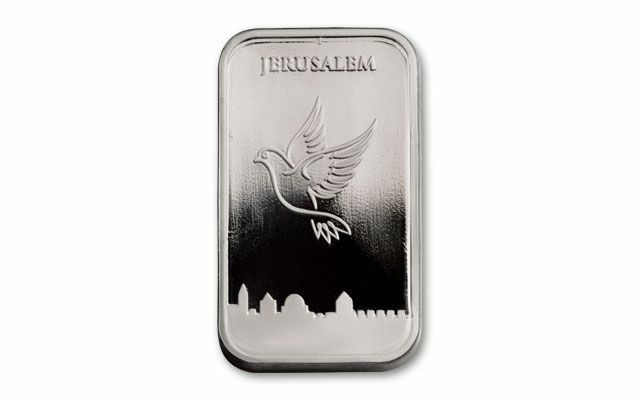 It features a "dove of peace" in flight over the walls of the Old City of Jerusalem on the obverse, and the Holy Land Mint logo on the reverse. 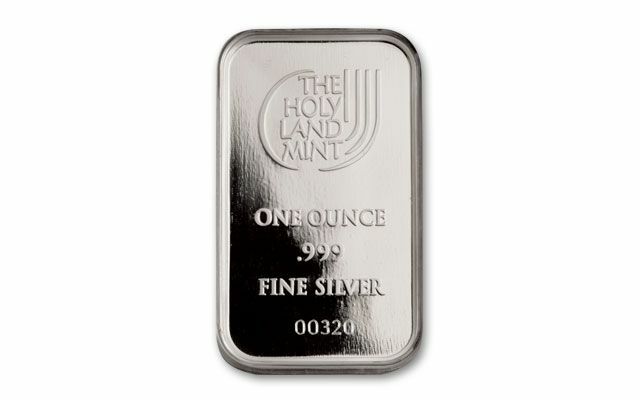 The Holy Land Mint is located in Israel. 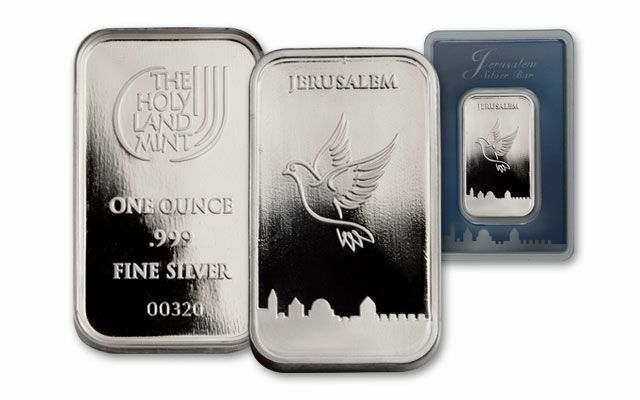 Each bar is struck with fineness, weight and serial number and arrives in Brilliant Uncirculated (BU) condition in an assay card.